Jason, you have worked as a designer on several productions with The Industry. Which projects have you produced, and how did your relationship with The Industry begin? 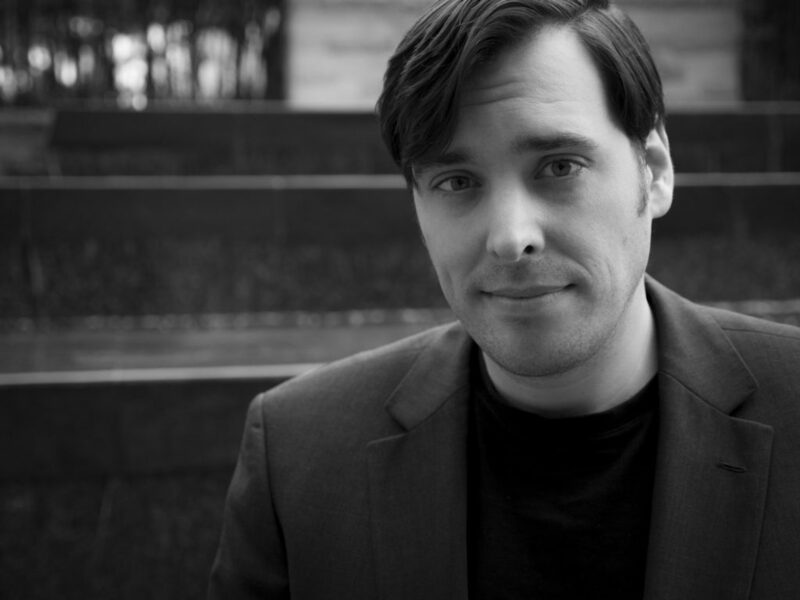 Jason: I’ve worked as the Projection Designer on Crescent City opera and Invisible Cities, and as the Production Designer for Hopscotch. It all started when I met Yuval in 2012. He had a wildly ambitious idea of producing an opera in a warehouse space with surround video and multiple live feeds. I thought that if he could pull this off, he could do anything. We’ve collaborated many times since. Young Caesar will be our ninth show together not including remounts. You’re currently in production for Lou Harrison’s Young Caesar at the LA Phil. This is a co-production, as a couple, designing video and projections. Have you two collaborated before? If so, in what capacity? Jason: We started working together before we became a couple, so our artistic lives have always been intertwined with our relationship. This is our 18th show together, and our first official co-design. In the past, it has been one of us supporting the other on a project, but we decided this was the right opportunity and perfect timing to co-design together. Our strengths balance each other out, and for an opera that involves so much video production and illustration; it’s a perfect fit for the two of us. As you approach the Young Caesar collaboration, how would you describe each other’s strengths with the production process? Jason: For this project, Kaitlyn has been focused on the hand-drawn backgrounds, while I’ve been more focused on the filmed elements. We usually work interchangeably in the other areas like animating content and programming the visuals. We also give each other lots of feedback while we work, functioning like art directors for each other. We know each other so well. It’s natural to fall into these roles for us because we know what to expect from the other person. We imagine it’s like being part of a tennis doubles team. What are the major concepts that are influencing your approach for this performance? Jason: The major design aesthetic is storytelling through shadow puppetry. It was Yuval’s concept from the beginning. We’re excited to fuse that aesthetic with shadow films, taking inspiration from Lotte Reiniger’s work in the 1920s and 30’s. 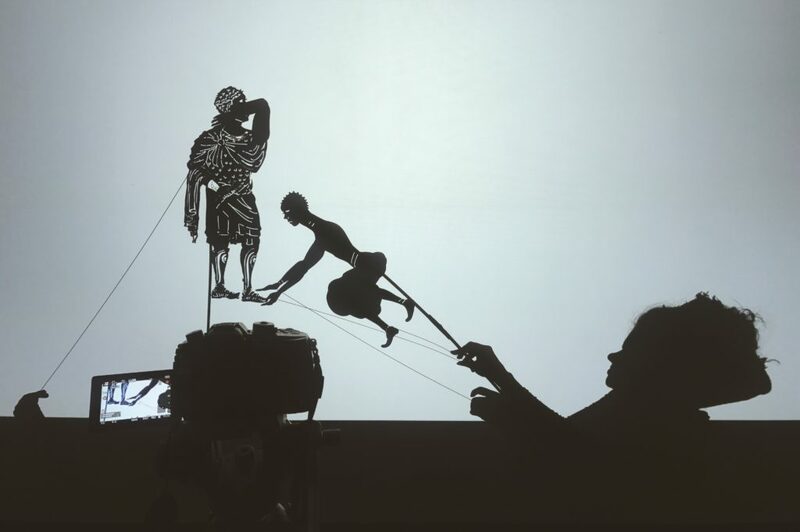 Shadow puppetry is such a beautiful art form and combining that with projections creates exciting opportunities that we haven’t explored before. Were you familiar with Lou Harrison’s body of work before this production? How do you relate to the content of Young Caesar? Kaitlyn: We weren’t familiar with Lou Harrison’s work before this project, but we’ve since come to appreciate what a diverse and unique American composer he was. We’re looking forward to the dynamics of this score that will come from a full orchestra. We relate to the euphoria of new love, the heartbreak of love lost, and the emotional immensity of those feelings. It is important to tell stories of love in all its forms, and we’re excited to see this story told by the LA Phil. What is something surprising or unexpected that has informed your approach to the aesthetic content or forms of Young Caesar? Kaitlyn: The birth of the aesthetic for this show came from the perspective of doing a very traditional shadow puppet show. The deeper we delve into the production, the more we find the beauty of how well a projection design with modern technology behind it can compliment the shadow puppet work. Describe one of your favorite moments from The Industry productions! Jason: One of my favorite moments in an Industry production was the first time I saw Rebekah Barton standing up in the back of a jeep singing while we were driving down the access road that lead to Chapter 26, Hades. It was so epic! Hopscotch was about the personal journey and the intimacy of that journey embedded in the dynamic tapestry of Los Angeles. I feel there were hundreds of my favorite moments while working on that production. Kaitlyn: I have a lot of favorite moments, but one that always stands out to me is Chapter 31 in Hopscotch. Chapter 31 felt like I had stumbled upon a hidden gem. It took place inside the Million Dollar Theater, and witnessing that performance in that large beautiful space with just a few other people was so unique and powerful. It was one of many moments in the show that moved me to tears. I had observed Hopscotch from the beginning behind the scenes: helping Jason test wireless signals, checking out sites, watching our living room become a warehouse filled with boxes and boxes of equipment. I was overcome with excitement, pride for Jason, and joy to see this story unfold. 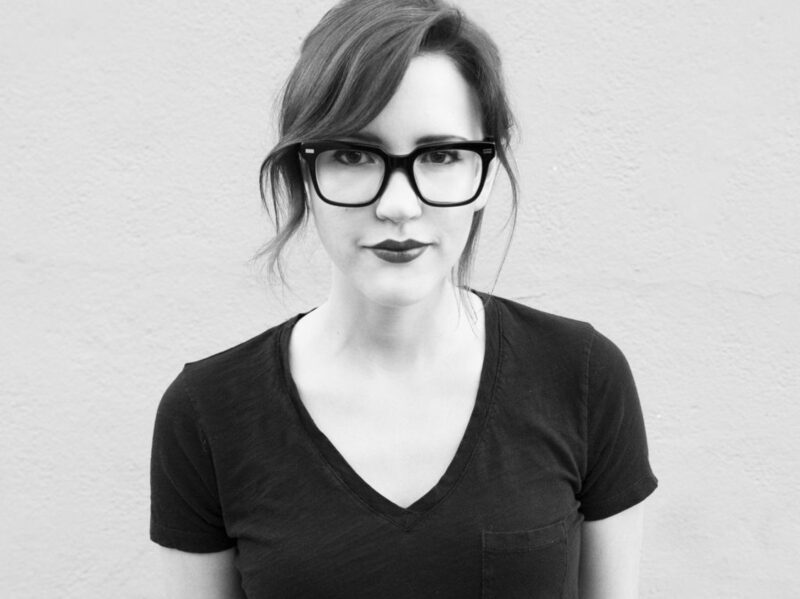 Jason H. Thompson and Kaitlyn Pietras are husband and wife Projection Designers living in Los Angeles, CA. Their work has been seen internationally in the UK, Europe and Asia. They’ve designed for major companies and theaters all over the US including: The Industry, Walt Disney Creative Entertainment, Center Theatre Group, Oregon Shakespeare Festival, The Cleveland Orchestra, San Francisco Symphony, New World Orchestra, Carnegie Hall, The Public Theatre, Broadway, The Guthrie Theatre, Kansas City Rep, South Coast Rep, The Geffen Playhouse, Pasadena Playhouse, Artists Repertory Theatre, Rattlestick Playwrights Theatre, and Ars Nova. Collectively they have won two Los Angeles Ovation Awards, two LADCC awards, as well as having work showcased at the Prague Quadrennial twice.